Urban Owl is a new brand that aims to reproduce vintage iconic sunglasses using the latest technologies in lenses and materials. The lenses used are of the highest quality featuring unique filters providing high definition vision quality and blue light absorption filters. In combination with a special tint, unparalleled clarity is achieved. Dimitris Diamantis is the man behind the brand, a young Greek civil engineer lead by his passion for vintage sunglasses. Determined to pursue his vision and produce these sunglasses exclusively in Greece. The first Urban Owl collection is launched through Indiegogo, crowdfunding platform, started since 27th of July 2015. 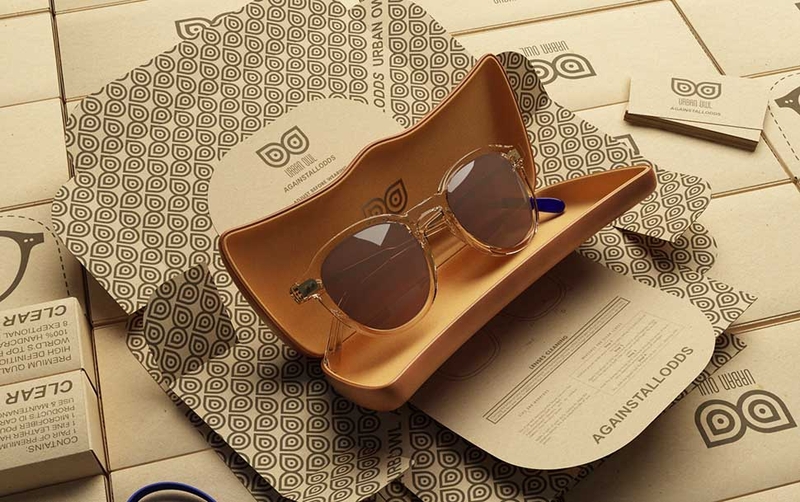 The supporters of the campaign will be the first to own these unique sunglasses and at the same time they will help create an outgoing sustainable business model and will support Greek economy by giving jobs to Greek people. The success of this new Greek venture will inspire young Greek entrepreneurs to go after their dreams and share their creativity using new means, crowdfunding, instead of migrating. A big part of this project is focused in solidarity for the people in need. For every pair of sunglasses sold through the campaign, 5€ will be given directly to a credible non-profit organization to support children in need. Dimitris Diamantis says that “This first collection is dedicated to European solidarity, with hard work and your support we can continue together.” Every pair of sunglasses from this collection, will have a small blue patch with the Urban Owl logo showing every time you wear it that you have been a part of this movement.